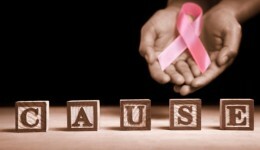 Articles for Tag: "Dr. Heidi Memmel"
Is fear a factor for double mastectomy? A new study shows that many women who have the procedure really don’t need it. Can turning off a gene prevent the spread of breast cancer? Scientists find a promising link between protein and cancer cells. Learn more. Advocate Health Care breast surgeons answer your questions “Live” about breast health. New research sheds light on why advanced cases of breast cancer are climbing in women under 40.